WOW! 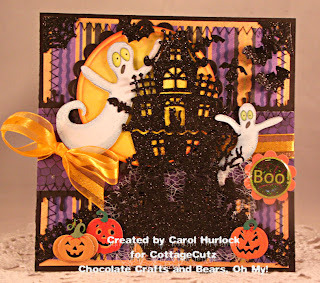 Totally in love with this, Carol! OH MY GOODNESS! 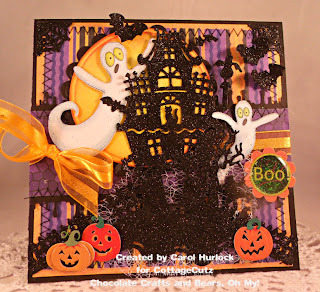 This is the coolest Halloween card EVER! Great job! I love all the glitter. 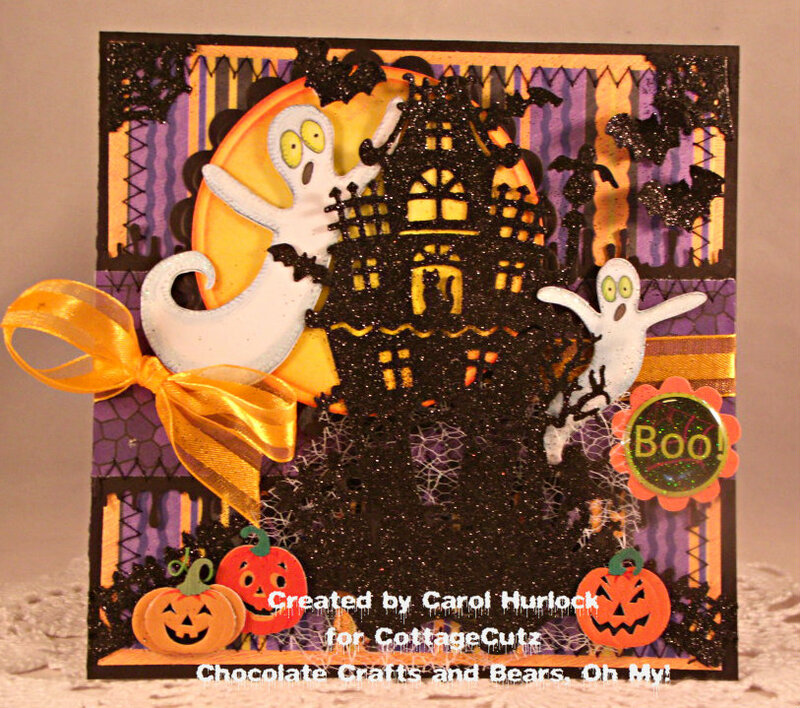 Carol I LOVE LOVE LOVE your Halloween card hun! 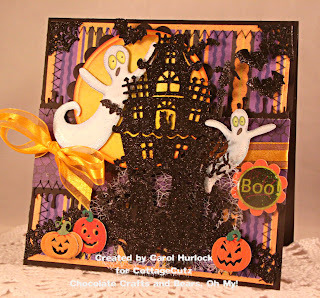 Beautiful job on the Haunted House, love it!! 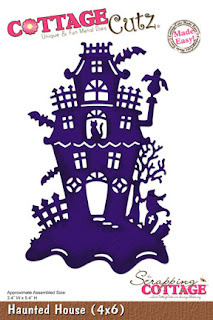 Also love all the Halloween extra's you added! 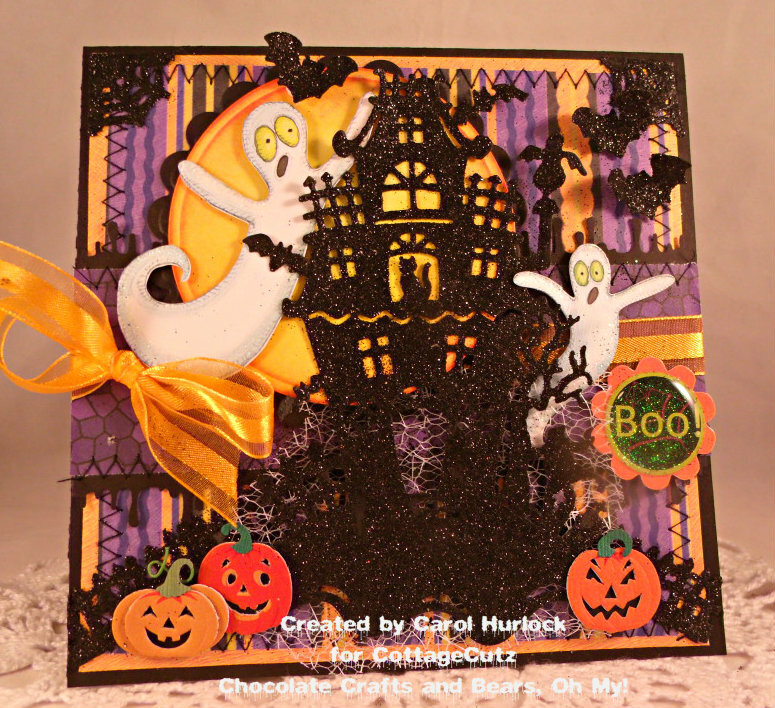 Beautiful job as always!!! 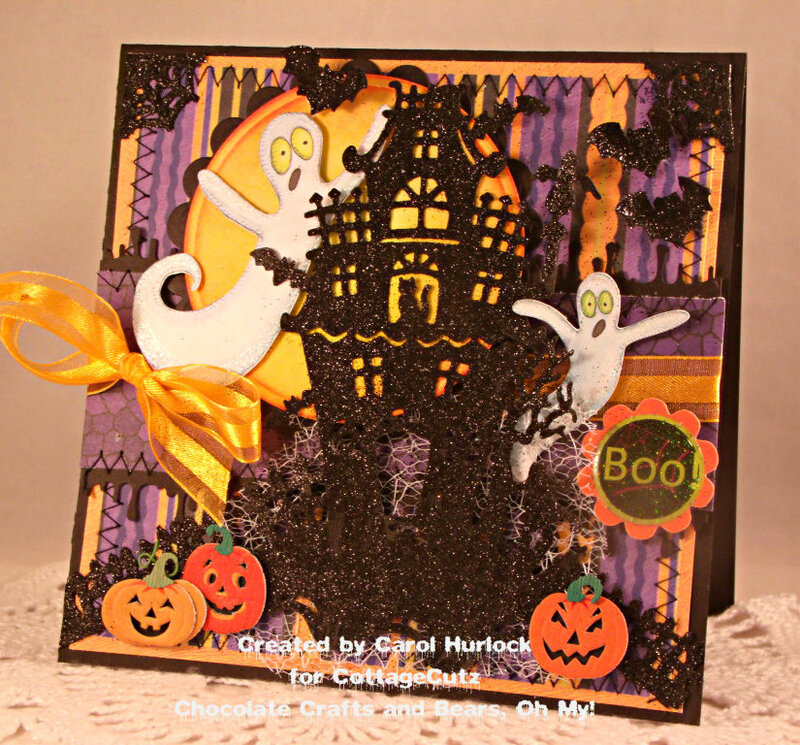 Awesome job with this fun Halloween card Carol! Love it!